Gospel singer, Perpetual Didier has revealed in an interview that she proposed to her husband. “I was attracted to him but it was hard for him to propose to me, so I took that bold step to propose to him.” She said in an interview on Rainbow Radio. 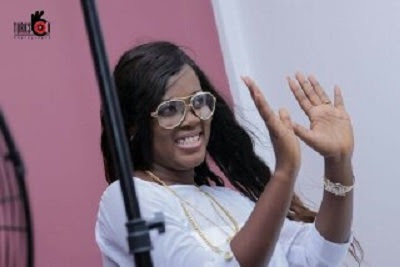 According to Perpetual, she met Emmanuel Agya Kwabena aka Cha-Jay a Sound Engineer when she was set to come out as a professional musician and was passionate about him because of certain things she noticed about her husband. “I love him for his kindness and good heart I love him so much. My husband has no feelings for other artists who come into his studio to record and my love isn’t based on money or on property. She currently promoting her latest song Wahendzi Mmra which features Nero X.